Size is small when compared to an air refrigeration system for a given capacity of refrigeration. Volume of refrigerant circulated is low. Hence the running cost is low. The operating temperature range is huge. 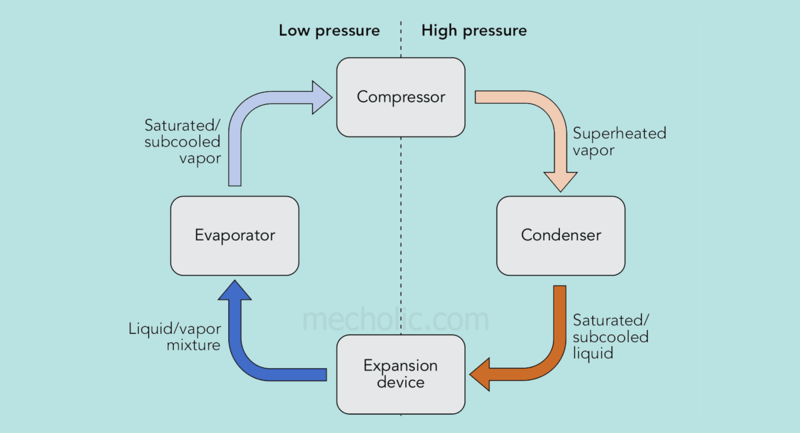 The temperature at the evaporator can be easily controlled by regulating expansion valve. Latent heat involved in Phase change ensures high value of heat removal, while air refrigeration system has sensible heat only. High initial cost, costly refrigerant. Must ensure the prevention of leakage of refrigerant..